The highest quality professional associations have a set of principles or tenets designed to guide members and provide assurance to clients and colleagues about what to expect. This is a distinguishing characteristic of professional associations, as opposed to other organizations or groups which may be more loosely formed. Every coach who joins the IAC® must pledge to abide by these Ethical Principles and Code of Ethics. Coaches will maintain high standards of competence in their work. Coaches will represent themselves in an honest and fair manner, being knowledgeable about their particular competencies and limitations. Coaches strive to be aware of their own belief systems, values, needs, and limitations and the effect of these on their work. To the extent feasible, they attempt to clarify the roles they are performing for relevant parties, and to function in accord with those roles. Coaches will uphold standards of ethical conduct that reflect well on the individual coach as well as the profession at large. Coaches will treat clients with dignity and respect, being aware of cultural differences, their own cultural background and biases, and the client’s right to autonomy, privacy, and confidentiality. Coaches accord appropriate respect to the fundamental rights, dignity, and worth of all people. They respect the rights of individuals to privacy, confidentiality, self-determination, and autonomy, mindful that legal and other obligations may lead to inconsistency and conflict with the exercise of these rights. Coaches seek to learn more about cultural, individual, and role differences, including those due to age, gender, race, ethnicity, national origin, religion, sexual orientation, disability, language, and socioeconomic status. Coaches try to eliminate the effect on their work of biases based on those factors, and they do not knowingly participate in or condone unfair or discriminatory practices. Coaches work in a variety of specializations (such as personal/life and corporate/business) in order to help their clients. Coaches are specifically trained in coaching through a school or mentor coach, and use/incorporate their individual life experience in their practice. Coaches may use an array of titles, ranging from coach to consultant to facilitator. Although each coach measures their progress differently, the intention is always to assist the client in achieving their goals or transformations in a matter appropriate to the client using sustainable strategies. Due to the personal nature of most coaching relationships, this Ethics Code provides the framework and values upon which professional coaches base their practice. The purposes of this Code are threefold. First, it provides the broad principles and values to which coaches subscribe. These include confidentiality and the utmost concern for the welfare and success of the client. Secondly, it provides rules for coaches to use in many of the specific situations that a coach might encounter. Finally, this Code is meant to serve as a building block for the ethical and moral standards of coaches. While each individual coach agrees to follow this Code, they are encouraged to supplement and add to it in order to build a lifelong commitment to building an ethical workplace and profession. 1.01 Applicability of the Ethics Code. (a) Any code may be considered as a normalization of experience into a set of rules. A code is adopted by a community because its members accept that adherence to such rules, including the restrictions this implies, is of benefit to all, inside and outside the community alike. 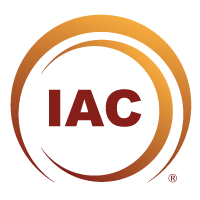 (b) This code of ethics is directed to all professional members of the IAC®. It consists, essentially, of a series of statements which prescribe minimum standards of practice, to be observed by members. The code is intended to be observed in the spirit and not merely the word. (c) The activity of a coach subject to the Ethics Code may be reviewed under these Ethical Standards only if the activity is part of his or her coaching work-related functions. 1.02 Relationship of Ethics and Law Of The Country. (a) Although the Law of the country in which the Coach practices will take precedent over the IAC Ethical Standards, coaches will, at a minimum, strive to adhere to the IAC® code of ethics. (b) A coach should not engage in any illegal activities, including, but not limited to, copyright, intellectual property rights, or patent violations. (a) Coaches provide their services only in the context of the IAC® professional standards. (b) Trust and responsibility are at the heart of the coaching profession. It is expected that coaches will always act with integrity towards their clients, their peers, and themselves. (a) A coach will not knowingly lay claim to a level of competence not possessed, and will at all times exercise competence at least to the level claimed. (b) Coaches provide services only within the boundaries of their competence, based on their education, training, or appropriate professional experience. Coaches should only accept work as they believe they are competent to perform. (a) Coaches maintain a reasonable level of awareness of current best business practices and professional information in their fields of activity, and undertake ongoing efforts to maintain competence in the skills they use. (b) Coaches keep themselves informed of new technologies, practices, legal requirements and standards as are relevant to the coaching profession. 1.06 Outputs of coaching Services. (a) When coaches provide coaching services, (inclusive of any assessments utilized), to an individual, a group, or an organization, they use language that is reasonably understandable to the recipient of those services. (b) If coaches will be precluded by law or by any other means from providing such information to particular individuals or groups, they so inform those individuals or groups at the outset of the service. (a) Respect for the individual is a cornerstone of coaching relationship. (b) In their work-related activities, coaches respect the rights of others to hold values, attitudes, and opinions that differ from their own. In their work-related activities, coaches do not engage in unfair discrimination based on any basis whatsoever. (a) Coaches do not knowingly engage in behavior that is harassing or demeaning to persons with whom they interact in their work. (b) Sexual harassment is sexual solicitation, physical advances, or verbal or nonverbal conduct that is sexual in nature. Coaches ensure that their behavior is at all times appropriate and can in no way be described as harassment in any form. 1.10 Personal Problems and Conflicts. (a) Coaches recognize that they too may experience personal problems which may exert an adverse effect upon the coach client relationship. Accordingly coaches inform clients of any such problems, and together appropriate action is taken. (b) In addition, coaches have an obligation to be alert to signs of, and to obtain assistance for, their personal problems at an early stage, in order to prevent impaired coaching performance. (c) When coaches become aware of personal problems that may interfere with their performing coaching-related duties adequately, they take appropriate measures, such as obtaining professional consultation or assistance, and determine whether they should limit, suspend, or terminate their current coaching activity. Coaches take reasonable steps to ensure that the client progresses, and in cases where there is no progress coaches strive to minimize any harm to their client. 1.12 Misuse of Coaches’ Influence. Because coaches’ professional judgments and actions may affect the lives of others, they are alert to and guard against personal, financial, social, organizational, or political factors that might lead to misuse of their influence. 1.13 Misuse of Coaches’ Work. (a) Coaches do not participate in activities in which it appears likely that their skills or assessments will be misused by others. (b) If coaches learn of misuse or misrepresentation of their work, they take reasonable steps to correct or minimize the misuse or misrepresentation. (a) Whenever feasible, a coach refrains from taking on professional obligations when preexisting relationships would create a risk of conflict of interest. (b) If a coach finds that, due to unforeseen factors, a potentially conflict of interest relationship has arisen, the coach attempts to resolve it with due regard for the best interests of the affected person and compliance with the Ethics Code. A coach may participate in bartering only if the relationship is not exploitative. Coaches are free to negotiate accepting goods, services, or other non-monetary remuneration in return for coaching services, within the legal and Income Tax limitations of the country of practice. (a) Coaches do not exploit persons over whom they may have a management role. (b) Coaches do not engage in sexual relationships with personnel over whom the coach has evaluative or direct authority, because such relationships may be viewed as exploitative. When indicated and if professionally appropriate, coaches may cooperate with other professionals in order to serve their client effectively and appropriately. 1.18 Third-party Requests for Services. (a) When a coach agrees to provide services to a person or entity at the request of a third party, the coach clarifies to the extent feasible, at the outset of the service, the nature of the relationship with each party. This clarification includes the role of the coach (such as organizational consultant), the probable uses of the services provided or the information obtained, and the fact that there may be limits to confidentiality. (b) If there is a foreseeable risk of the coach’s being called upon to perform conflicting roles because of the involvement of a third party, the coach clarifies the nature and direction of his or her responsibilities, keeps all parties appropriately informed as matters develop, and resolves the situation in accordance with this Ethics Code. 1.19 Delegation to and Supervision of Subordinates. (a) Coaches delegate to their employees, and assistants only those responsibilities that such persons can reasonably be expected to perform competently, on the basis of their education, training, or experience, either independently or with the level of supervision being provided. (b) Coaches provide proper training and supervision to their employees and take reasonable steps to see that such persons perform services responsibly, competently, and ethically. 1.20 Records and Information Management. (a) Coaches create, maintain, disseminate, store, retain, and dispose of records and data relating to their practice, and other work in accordance with the law of the country in which they practice, and in a manner that permits compliance with the requirements of this Ethics Code. (b) Coaches are recommended to appropriately document their work in order to facilitate provision of services later by them or by other professionals, to ensure accountability, and to meet other legal requirements of their Country. 1.21 Fees and Financial Arrangements. (a) As early as is feasible in a professional relationship, the coach and the client, or other appropriate recipient of coaching services reach an agreement specifying the compensation and the billing arrangements. (b) Coaches do not exploit recipients of services or payers with respect to fees, nor do coaches misrepresent their fees. (c) If limitations to services can be anticipated because of limitations in financing, this is discussed with the client, or other appropriate recipient of services as early as is feasible. (d) If the client, or other recipient of services does not pay for services as agreed, and if the coach wishes to use collection agencies or legal measures to collect the fees, the coach first informs the person that such measures will be taken and provides that person an opportunity to make prompt payment. 1.22 Accuracy in Reports to Payers. In their reports to payers for services, coaches accurately and clearly state the nature of the service provided, the fees and/or all other charges. When a coach pays, receives payment from, or divides fees with another professional other than in an employer – employee relationship, the payment to each is based on the services (referral, consultative, administrative, or other) provided, and is agreed in writing prior to commencement of engagement. 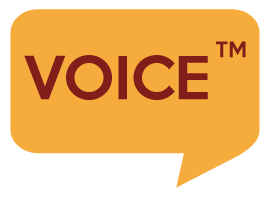 Advertising / Public Statements refer to any written documents or verbal statements that a coach makes publicly available (such as a brochure, article, speech, or professional resume) relating to coaching. Coaches understand that others may engage in making public statements for them, whether specifically asked to do so or not. Coaches will make their best effort to ensure that any such public statements are true and not misleading. 2.03 Avoidance of False Statements. Coaches agree not to make any public statements that are false, under any circumstance. Examples of such statements include a coaches’ training or experience and the fees they charge. (a) Coaches will explain their fee structure prior to the first paid coaching session with a client. (c) Coaches agree to refer clients to other professionals when relevant. Coaches also will refer a client to a counselor, therapist, or psychiatrist as soon as possible if they see or hear a problem that may necessitate mental health treatment. (d) Coaches make an effort to answer clients’ questions and address their concerns about coaching as promptly as possible. When available, a coach will provide written information to address specific concerns about coaching. (a) Each Coach must make an appropriate referral to a Mental Health Professional or Emergency Service Professional at an early point of recognizing situations in which clients may put their own safety or well-being at risk, or the safety or well-being of others at risk, and in severe situations the Coach must contact a Mental Health Crisis Service or Emergency Service on behalf of the client. (b) Coaches must not attempt to diagnose or assess any mental health issue or specific problem where clients may put themselves or others at risk, but must act solely out of their personal experience, as coaches are not trained or licensed to make such diagnoses or assessments. (c) Coaches must notify the appropriate authorities when a client discloses that they are harming or endangering another individual or group. The coach must also attempt to notify the person or group who is being harmed or endangered. The Coach does not need to discern if a mental health problem is present or in fact if the current or imminent harm is in fact illegal. 3.03 Providing Coaching Services to Those Served by Mental Health Professionals. Each coach must decide whether or not to enter into a coaching relationship with a client who is currently undergoing psychotherapy or other mental health treatment. Most important in making this decision is the client’s welfare. 3.04 Sexual Intimacies With Clients. Coaches agree not to be sexually involved with current clients. Coaches will make reasonable efforts to make other arrangements for any interruption of coaching services. For longer-term interruptions (longer than 1 month), the coach is encouraged to refer clients to other coaches until they are able to resume coaching. 3.06 Terminating the Coaching Relationship. Coaches agree to terminate a coaching relationship when it becomes clear that the client is no longer gaining benefit (or is being harmed) from the coaching relationship. In terminating the relationship, coaches will suggest alternatives or provide referrals to coaches or other professional services when appropriate. These Standards are applicable to the professional activities of all coaches. 4.01 Discussing Confidentiality and the Limitations Thereof. (a) Coaches respect the client’s right to privacy. They do not solicit private information from the client unless it is essential in the provision of services, or the implementation of research. The standards of confidentiality apply once disclosure occurs. (b) The discussion of confidentiality occurs at the beginning of the professional relationship, unless it is contraindicated or infeasible, and from then on as necessary. (c) Coaches discuss the nature of confidentiality and its limitations with clients and other interested parties. Coaches examine situations in which confidential information may be requested or disclosed. (d) All information obtained in the course of the professional service is confidential unless there is a compelling professional reason for its disclosure. Coaches will disclose confidential information without a specific release if it is necessary to prevent foreseeable imminent harm to the client or another. In all circumstances, coaches will be judicious in the amount of information that is disclosed. (a) Coaches are fundamentally prudent in the protection of the confidentiality rights of those with whom they work or consult. Coaches acknowledge that professional relationships, institutional regulations, and/or the law may establish confidentiality. (b) Coaches will not discuss confidential information in any setting unless privacy can be assured. (c) Coaches discuss confidential information only for appropriate professional, consultative, or scientific purposes and only with persons clearly concerned with such matters. (d) In their dealings with the public and media (including professional presentations, and writing) coaches will be careful to guard the confidentiality of their clients. Moreover, coaches will disguise confidential information so that clients are not individually identifiable. Coaches will only disclose confidential information if the client or legally authorized individual has given express written consent. (e) In a consultative capacity, coaches do not share confidential information that could lead to the identification of a client with whom they have a confidential relationship. Coaches may only share this information if they have obtained the prior consent of the client, or if the disclosure cannot be avoided. Furthermore, coaches share information only to the extent necessary to achieve the purposes of the consultation. (f) Coaches take logical precautions to protect client confidentiality in the event of the coach’s cessation of practice, incapacitation, or death. (g) Coaches protect the confidentiality of their deceased clients in accordance with this Ethics Code. 4.03 Records and Information Management. (a) Coaches maintain confidentiality when creating, storing, accessing, transferring, and disposing of records under their authority in accordance with this Ethics Code and laws of their country. (b) Coaches take precautions to ensure and maintain the confidentiality of information communicated through the use of telephone, voice mail, computers, email, instant messaging, facsimile machines, and other information technology sources. (c) Coaches take practical and lawful steps to assure that records remain available in order to serve the best interests of clients. (a) Unless prohibited by law, coaches will only disclose confidential information if the client, or person legally authorized to consent on behalf of the client, has given express written consent. (b) Coaches may disclose confidential information without the consent of the client only as mandated or permitted by law. (c) When possible, coaches inform clients about the disclosure of confidential information and possible ramifications before the disclosure is made. (d) Coaches will only disclose confidential information to third party payers with the appropriate written consent. (e) Coaches must disclose certain confidential information as required by law or if the confidential information may put the client or others at risk of harm or compromise their well-being. 5.01 Design of Training Programs. Coaches who train other coaches do their best to ensure that their training programs are well thought-out, and will provide the trainee the material that they are seeking. 5.02 Descriptions of Training Programs. Coaches that train other coaches shall not mislead others about the training they offer. Coaches that train other coaches will ensure that they are made aware of this ethics code, when applicable, and will abide by it during the training process. Coaches agree to see their own limitations in training other coaches, and in such instances when they don’t feel adequately experienced to train another coach in a specific area or technique, they will refer the trainee to another coach or training program. (a) Those coaches that conduct research will design and conduct the research within recognized scientific standards. (b) Coaching research will be planned to minimize the possibility of misleading results from the collected data. (c) Coaches that conduct research have the competency to do so, or have other scientific professionals with competency overseeing the research. (d) Research will be conducted in compliance with all laws of the country in which research is carried out. (a) Approval or consent from research participants or hosting organizations shall be gained, unless (b) below holds true. (b) Approval or consent from research participants or hosting organizations is not required only in special cases, such as research with anonymous questionnaires or naturalistic observations. (c) Participants will be informed about the research and its anticipated use(s), in language that is understandable to the general public. (d) Where applicable, research participants shall be suitably protected from adverse consequences of participating in the research, including (but not limited to) potential consequences of withdrawing from the research. (e) If inducements are offered to research participants, such inducements shall not be excessive or inappropriate. 6.03 Reporting of Research Results. When the results of research are made available, coaches will not falsify or fabricate the results. Further, if significant errors in the research are found in the future, appropriate attempts will be made to correct the prior results. Coaches do not copy others’ research or data without prior written permission from the originator. Coaches take responsibility and credit only for their own work, and always give proper attribution when using others’ work. Coaches who professionally review material prior to publication respect the confidentiality of the work, and credit the publication to the authors that submitted the work. Sections 6.04 through 6.06 apply to all publications by coaches.